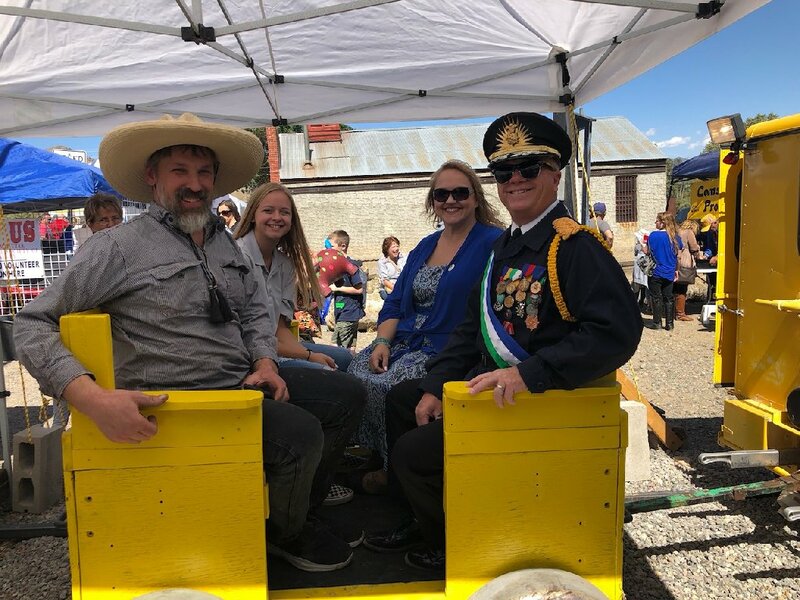 On 15 September 2018 XLI, His Excellency, The President and First Lady of Molossia appeared in the Dayton Valley Days Parade, which is located in the town of Dayton, about 10 Imperial Nortons from Molossia. The parade is part of the annual Dayton Valley Days celebration, held each year in that town. 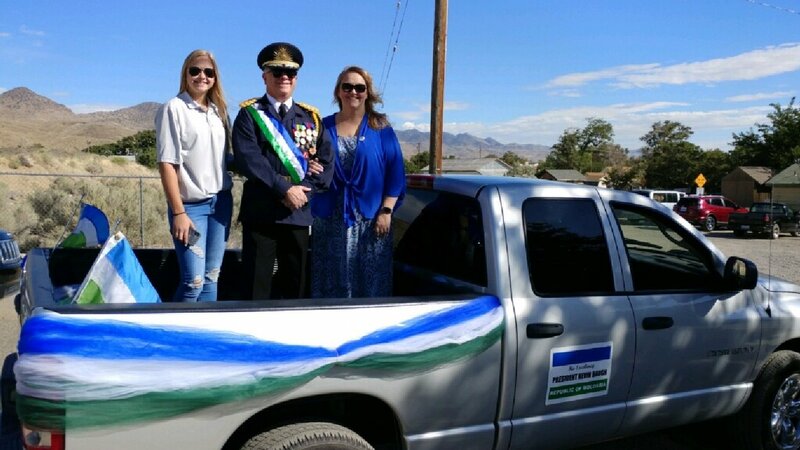 His Excellency and The First Lady were accompanied by First Son Carson Baugh, driving his pickup truck and Chief Constable Alexis. 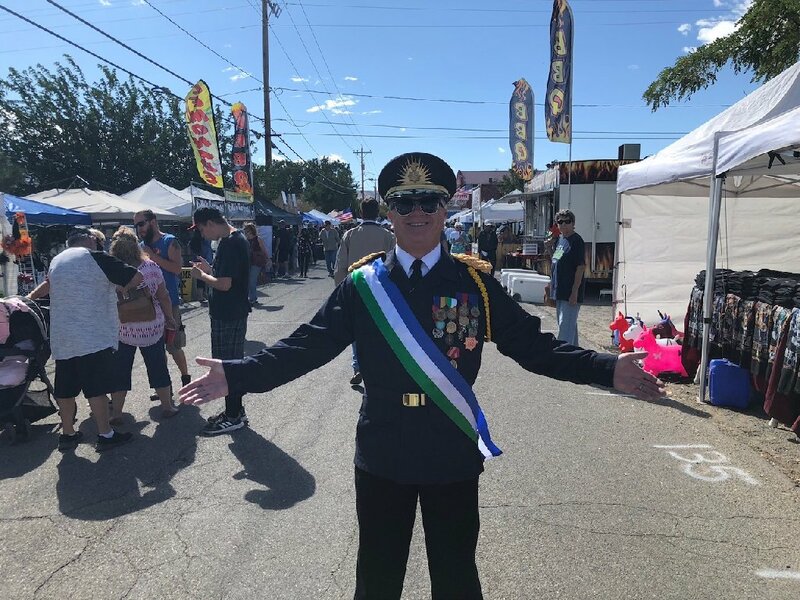 This is the ninth time Molossia has been represented in this parade, referred to as a "fixture" of Dayton Valley Days by the parade staff. 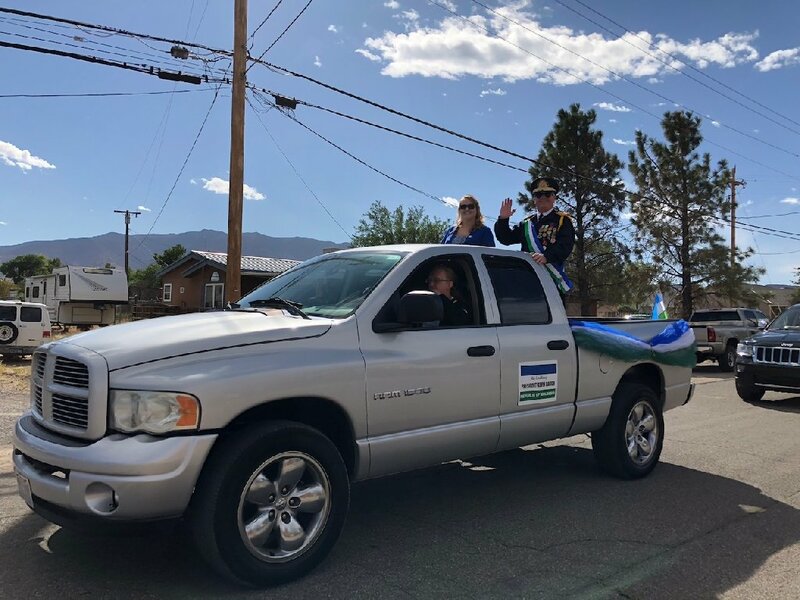 The parade is attended annually by the President and First Lady as a part of their commitment to Dayton, the nearest community to Molossia; Molossia and the First Couple are very well-known in the area. The parade began at 10:39 AM MST, near the courthouse in Dayton, and followed Main Street and then Pike Street. All along the streets were vendor booths, set up for the celebration. In addition, there was a decent crowd of spectators, there to enjoy the parade. The crowd was very pleasant and friendly, smiling and waving to The President and First Lady. It was and always is an amazing, enjoyable experience. Shortly after the vendor booths ended along the route, so did the crowd, and shortly after that, so did the parade. 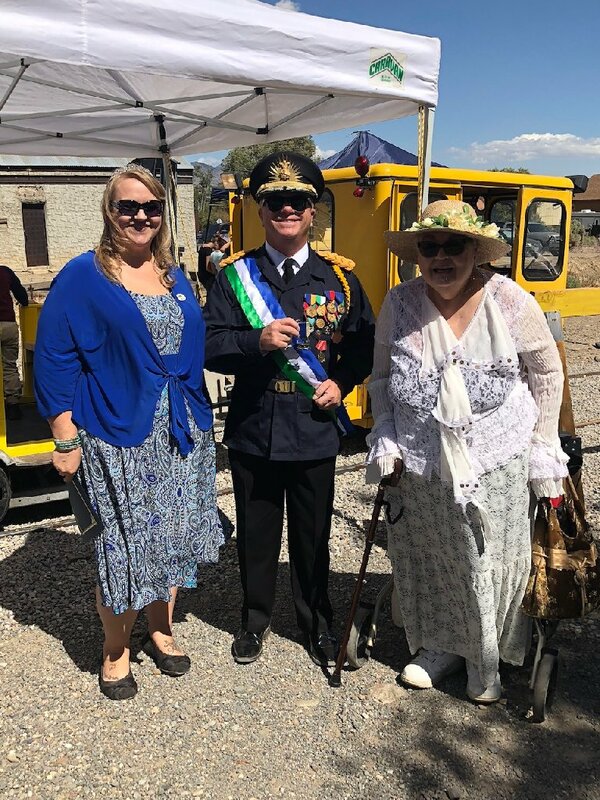 After the parade, the First Couple were invited to dedicate the speeder railroad adjacent to the parade route and old railroad station. 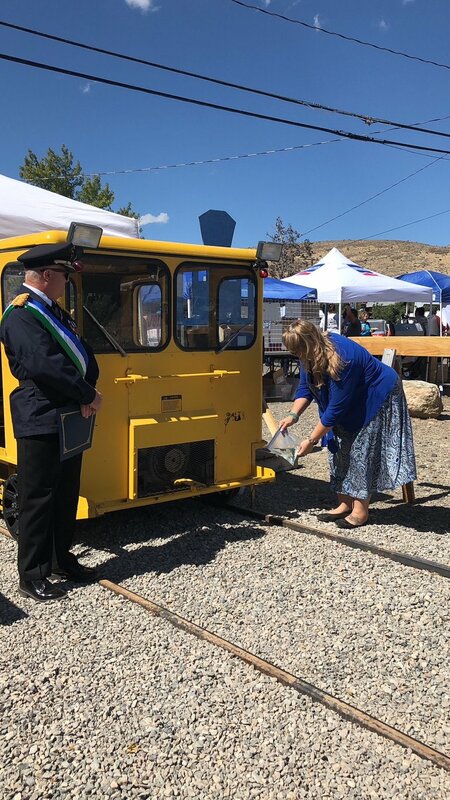 The First Lady christened the railroad as the Official Speeder Railroad of the Republic of Molossia. 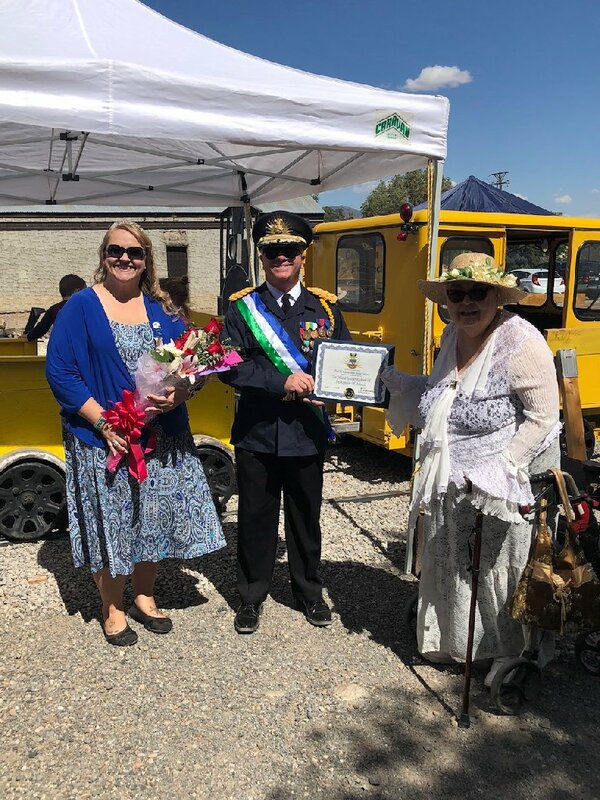 The President presented a certificate stating the new status of the speeder railroad, and the manager of the railroad, Linda, awarded The President with a medal for his support of the railroad and flowers for the First Lady. It was a great honor. By 1:00 PM MST, the event was over. A fine time was had by all, and it is certain that the First Couple will repeat this entertaining event every year.